Subject: YOU HAVE WON THE UN YEARPROMOTION!!! YOU HAVE WON THE UN YEARPROMOTION!!! YOU HAVE WON THE UN YEAR PROMOTION!!! The Board of Directors, members of staff and the International Awareness Promotion Department of the UNITED NATION INTERNATIONAL DRAW, wishes to congratulate you on your success as the STAR PRIZE WINNER in this years draw. The United Nations Yearly Promotion Program, held on the 6th of July, 2007, in London, England. 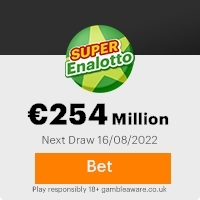 Your e-mail address attached toTICKET NUMBER: 7634-6821-773 with SERIAL NUMBER:217716,LUCKYDREW NUMBERS:33-89-61-55 which has made you the prize winner in the 2nd category.You have been approved to claim the sum of 1,500,000.000 Euros credited to your file .This is from a total cash prize of 7,000,000,000us Euros shared amongst the lucky claimants in this category . Due to mix up of some numbers and names, we ask that you keep your winning information confidential until your claims has been processed and your money Remitted to you. This is part of our security protocol to avoid double claiming and unwarranted abuse of this program by some participants. Congratulations from the board of directors and members of staff of THE UNITED NATIONS games International Program. This Email with the Subject "YOU HAVE WON THE UN YEARPROMOTION!!!" was received in one of Scamdex's honeypot email accounts on Fri, 06 Jul 2007 08:56:49 -0700 and has been classified as a Generic Scam Email. The sender shows as "howardsmith@terra.es" <howardsmith@terra.es>, although that address was probably spoofed. We recommend that you do not attempt to contact any persons or organizations referenced in this email, as you may expose yourself to scammers and, at the very least, you will be added to their email address lists for spam purposes.